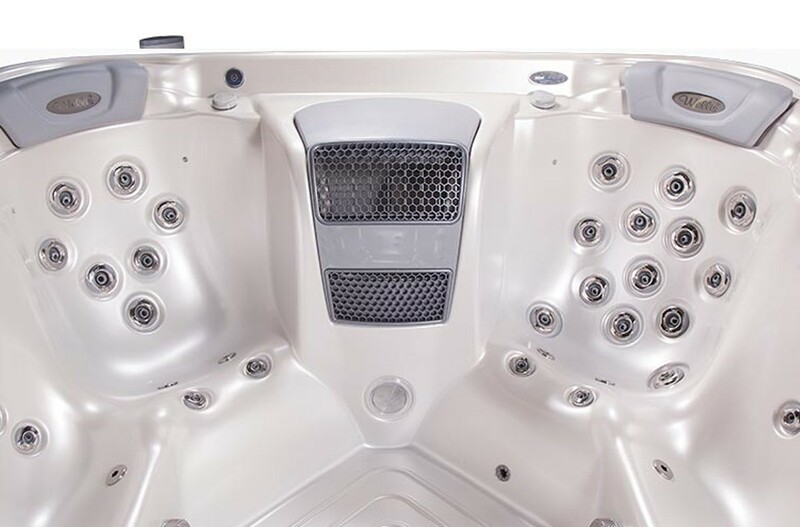 UV-C water disinfection system, WPS frame, aromatherapy. 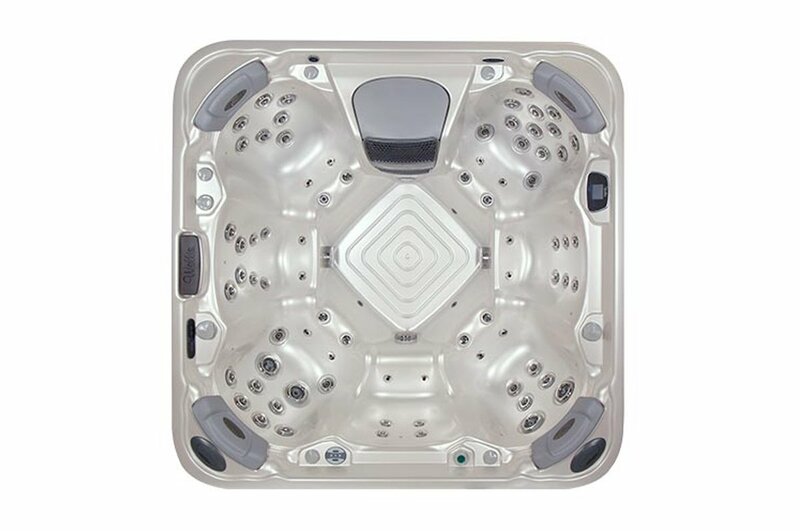 These extra experiences are provided by the Elbrus Deluxe spa when compared to the Start version. 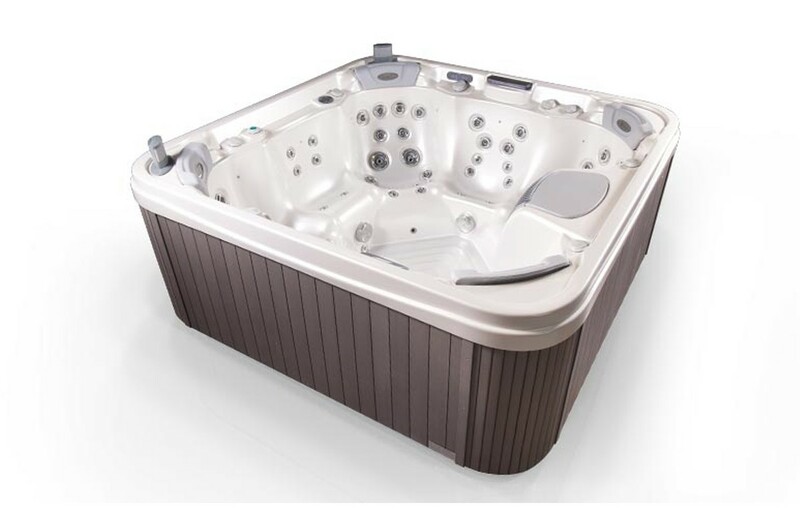 Besides, just like any other WELLIS hot tub, this one is also made of Premium category raw materials: antibacterial acrylic sheet, Poli-Max polyurethane foam reinforced body, vacuum-moulded ABS floor pan, UV-resistant brushed plastic side cover. Outdoor bathing has never been such a great experience as it is in the Wellis Elbrus spa. Share this experience with friends in this 7-person massage spa. 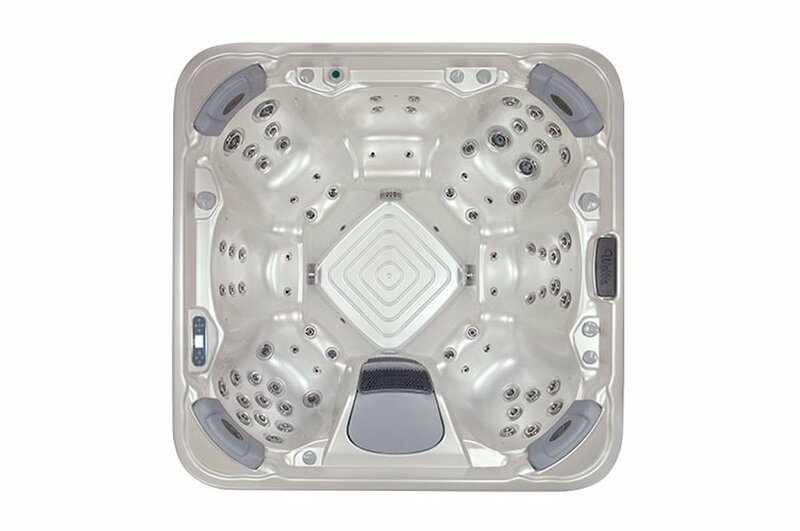 The Start version of the Elbrus hot tub aready includes no less than 41 jets operated by 2 massage pumps. 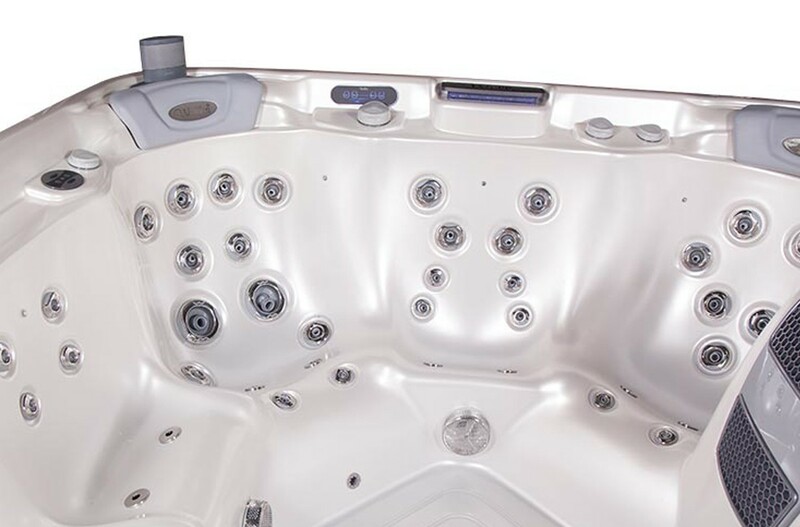 Everyone will be wowed by the underwater colour therapy lighting with 15 LED points.